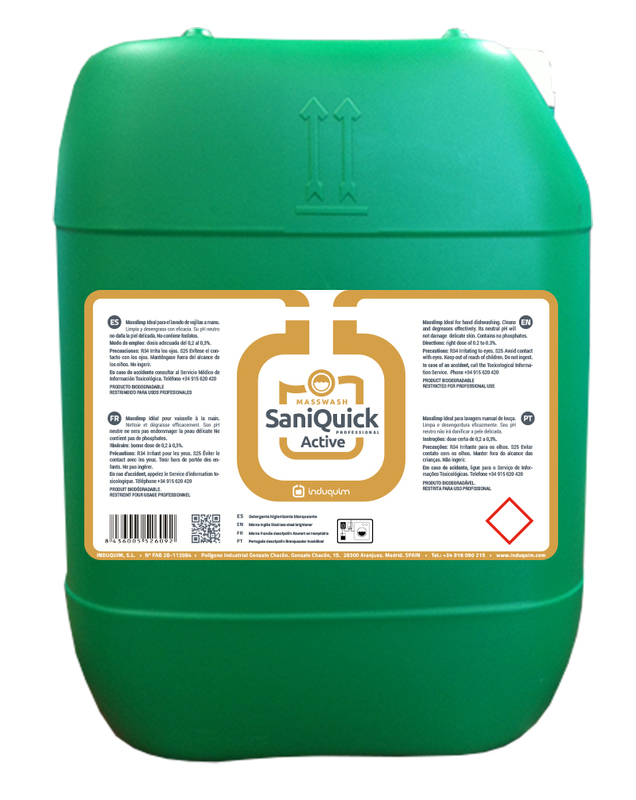 At Induquim we believe that any type of garment that is washed must also be disinfected because we don’t know who the last person to use it was; based on this premise, we are really proud to present the EMG Saniquick® Washing and Disinfecting System. Certified in the WKF European Applied Research Institute (Germany). EMG Saniquick® allows us to wash and disinfect any load of organic dirt and eliminate the costly and infectious soaking and pre-washes. 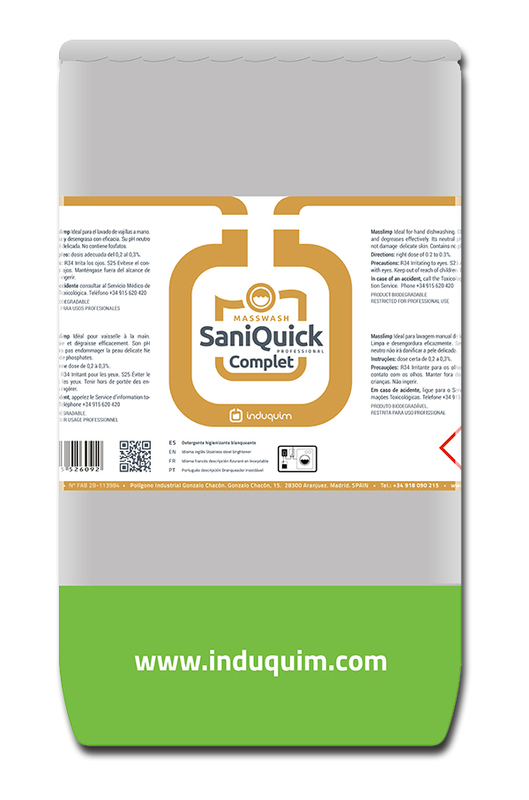 In other words, it is a process with a wide range of applications as it can be used not only with hospital garments and linens but also in the hotel, catering and food sectors,… EMG Saniquick® is a real scientific breakthrough, resulting from the intense and brilliant research effort that Induquim has been carrying out over the years.